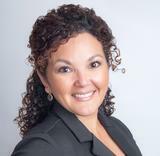 I am a full-time and informed Spanish speaking, knowledgeable and motivated Realtor® for the past 14 years. I am committed to finding the right real estate situation for my clients. I am an excellent negotiator and researcher. I position my real estate clients to make their real estate dreams come true. I offer a listening ear, compassion, trustworthiness and patience in every aspect of the real estate process from listening, to building relationships, to answering every question and handling each concern. I am a Harris County area real estate market specialist in Humble/Atascocita/Kingwood, Northeast Houston, as well as an authority on the surrounding counties of Montgomery, Liberty, Brazoria and Fort Bend. I have lived in Humble/Kingwood area for 40+ years and take much pride in my hometown and know the area well and have seen vast changes over the years. I love the small town atmosphere and sense of community in the Humble/Atascocita area. I am currently a member of HAR, TAR, NAR and a past member of The WCR - Lake Houston Division. I am also a Certified Negotiation Expert (CNE). I am a proud member of Red Door's Multi-Million Dollar Producer Club, and a multiple "Triple Crown Winner". I am also a designated supervisor, Director of Training & Recruiter. I offer assistance, guidance and training to any of our new agents. I thoroughly enjoy empowering the new agents that join us at RDR and watching them apply and grow and succeed in this business. I give back to my community by volunteering at my church, and with the Houston Livestock Show & Rodeo. I enjoy spending time with my two daughters, photography, live music, archery and hunting, and tackle small up-cycled projects. If you are currently house hunting or selling, New Home Construction or Resale Homes, Buying or Selling, I welcome the opportunity to assist you and your family. Me encantaría ayudar a aquellos que hablan Español! Nueva casa o casas de reventa, me da la bienvenida a la oportunidad de ayudar a su familia! 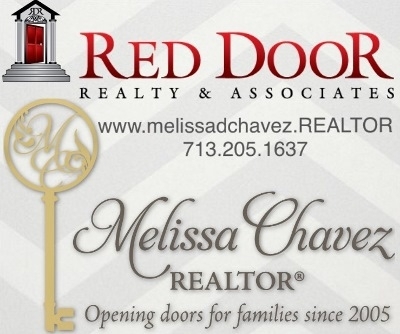 I confirm that I worked with Melissa Chavez in the buying or selling of this property.